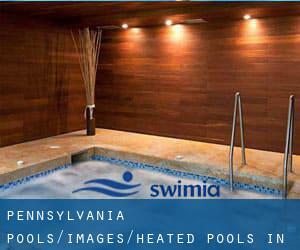 Swimia.com has the most up-to-date database about Heated Pools in Pennsylvania. There are typically discounts obtainable to senior citizen and small children. Discover by contacting your nearest pool in Pennsylvania. Water sports are increasing specially in elderly population sectors who have suffered some sort of muscle or bone damage. Are you on holiday and need to keep fit and healthy? Swimia.com delivers you the effortless and quickest way to locate pool near Pennsylvania. Thanks to some new Swimming Pools submitted every day, Swimia.com is increasing everyday the number of stored pools. Please don't hesitate to contact us in the event you discover any inaccurate or incomplete info. Most in the Heated Pools in Pennsylvania provide both open lanes for independent swimming and also guided activities like water aerobics or aquabike. Swimming is really a exceptional thought to keep your body active in the course of your visit to Erie (Pennsylvania), or even should you be a local. Swimia helps you to discover your closest Pool in Erie. Holding an estimated population of 88.082, Reading is one of the most important cities in Pennsylvania. Check all the Pool in Reading and its surrounding area. Let us tell you a secret to switch off although you are in Pittsburgh: just choose a Pool in Pittsburgh and plunge into the water! There's no far more effective approach. Whereas Philadelphia is one of the six most populous cities in Pennsylvania with nearly 1.526.006 residents, you shouldn't miss that one if you're going to Pennsylvania. Without a shadow of a doubt, swimming in Scranton will be the very best method to unwind soon after perform. Take a couple of minutes to browse Swimia's catalog to find a Swimming Pool in Scranton. It's difficult to visit Pennsylvania without having dropping by Allentown (with 118.032 residents). Currently Swimia is showing you all the Pool in Allentown along with the closest pools situated in its vicinity. Centre Region Parks and Recreation Dept. Updated on 2019 At the State College High School Natatorium , 653 Westerly Pkwy. , State College , PA , USA (Postal Code: 16801). Among all of the activities provided by the center, if you're enthusiastic about swimming you are going to enjoy 25 yards, Indoors. Just in case you would like to contact this Swimming Pool before dropping by, we only know the phone number. Updated on 2019 145 E. Water St. , Lock Haven , PA , USA (Postal Code: 17745). This sports center offers 25 yards, Indoors. For this Pool, only phone number is number here. Updated on 2019 110 W. Church St. , Ligonier , PA , USA (Postal Code: 15658). Swimmers like you reported 25 yards, Indoors. Unfortunately we do not have the email address of this Swimming Pool, but we can give you the phone number. Updated on 2019 517 Twin Oak Drive , Penn Hills , PA , USA (Postal Code: 15235). Swimmers like you reported 25 yards, 6 lanes, Indoors. Unfortunately we do not have the email address of this Swimming Pool, but we can provide you with the phone number. Updated on 2019 101 Race Street , Kennett Square , PA , USA (Postal Code: 19348). Swimmers like you reported 25 yards, 8 lanes, 3.5 feet - 7.25 feet depth, Indoors. Unfortunately we do not have the e-mail address of this Swimming Pool, but we can give you the phone number. Updated on 2019 3333 Chichester Ave. , Boothwyn , PA , USA (Postal Code: 19061). Swimmers like you reported 25 yards x 42 feet, 6 lanes, Indoors. Unfortunately we do not have the e-mail address of this Swimming Pool, but we can give you the phone number. Updated on 2019 90 N. Newberry St. , York , PA , USA (Postal Code: 17401). Swimmers like you reported 25 yards, Indoors. Unfortunately we do not have the email address of this Pool, but we can give you the phone number. Updated on 2019 900 South Avenue , Secane , PA , USA (Postal Code: 19018). This sports center delivers 25 yards, 6 lanes, 3.5 feet - 9 feet depth, Indoors. Contact information for this Swimming Pool such as phone number and e-mail address are number. Updated on 2019 12 Bound St. , Milton , PA , USA (Postal Code: 17847). This sports center gives 20 yards, Indoors. For this Swimming Pool, only phone number is number here. Updated on 2019 2110 Garrett Rd. , Lansdowne , PA , USA (Postal Code: 19050). Among all the activities supplied by the center, when you are interested in swimming you will take pleasure in 25 yards x 42 feet, 6 lanes, Indoors. Just in case you need to get in touch with this Pool prior to dropping by, we only know the phone number. Updated on 2019 Keystone Hall , Kutztown , PA , USA (Postal Code: 19530). This sports center delivers 25 yards, 6 lanes, Indoors. For this Pool, only phone number is number here. Updated on 2019 250 Market Street , Johnstown , PA , USA (Postal Code: 15901). Among all of the activities offered by the center, if you are considering swimming you'll appreciate 50 feet x 25 feet, Indoors. Just in case you need to contact this Swimming Pool before dropping by, we only know the phone number. Updated on 2019 4215 - 5th Avenue , Pittsburgh , PA , USA (Postal Code: 15213). This sports center provides 25 yards, Indoors. For this Swimming Pool, only phone number is number here. Updated on 2019 650 Beech Street , Curwensville , PA , USA (Postal Code: 16833). This sports center gives 25 yards, 6 lanes, Indoors. For this Swimming Pool, only phone number is number here.